Could Sri Lanka’s first Test against England from 6 to 10 November be the last one at the beautiful Galle International Stadium? The future of the stadium is under a cloud, given the UNESCO World Heritage status of the 17th-century Dutch Fort overlooking the ground. According to reports, UNESCO wants unauthorised constructions on the ground removed if the heritage status of the fort is to be retained. 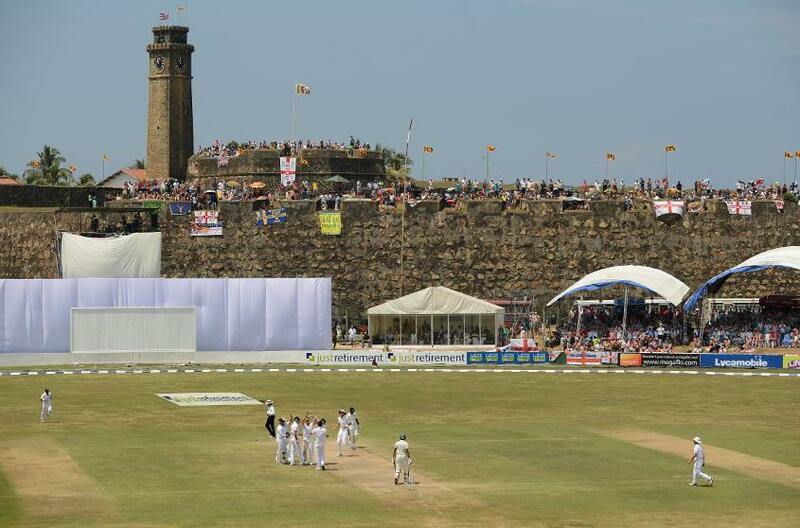 Galle offers one of the most picturesque venues in world cricket because of its location on the Indian Ocean coastline and the stunning fort in the background. The structure also provides a vantage point for spectators to catch the action. It has been happy hunting grounds for the home side too: Sri Lanka have won 18 Tests and lost only seven here over the years. But now, a 500-seater pavilion, built in 2008 as part of the reconstruction following the 2004 tsunami, is a matter of contention as it blocks the view of the fort from the main Galle road. Reports suggest UNESCO is not against matches being held at the ground, but wants this structure cleared. I said in Parliament that the ​Galle international cricket stadium would not be removed. However, the unauthorized pavilion will be removed and Galle stadium will be used for national and intl. matches. Another cricket stadium will also be constructed in Galle district. The issue has been taken up in Sri Lankan Parliament, and Faiszer Musthapha, the Sri Lanka sport minister, has said that talks are on to build a new stadium in the city if the need arises. But this is not a popular option. Sri Lanka legend Mahela Jayawardene is among those who has urged the authorities to make efforts to retain the stadium. “Galle cricket ground has a unique place in international Test cricket history for its location. Also one of the most successful venues for the national team. I would like to plead and humbly request authorities and SL government to reconsider this decision,” he said on Twitter. “Why do you need another stadium in Galle if you are not removing the current one? Just change the pavilion structure if that is the issue,” he added.